The 8 basic principles – the neuroscientific ingredients in the recipe that is BrainWare SAFARI. The general term for the brain’s ability to change and to develop in response to its environment and the demands being placed on it is “neuroplasticity.” Essentially, our brains develop by organizing themselves, creating and pruning neural pathways, connections, and networks in response to the environment and our individual experience. Brain development and specific patterns of neural connections are not genetically predetermined in the way that attributes like red hair or blue eyes are determined. While intellect and learning ability are guided by our genetic code, they arise in significant part through the process of development. The plasticity of the brain is greater in children, but the brain exhibits the ability to change and develop throughout life. A number of recent studies have focused on the use of computerized techniques, especially video games, to deliver training that can leverage neuroplasticity to enhance brain function and have shown that learning from video games can transfer to nongame situations. For example, in one study, training designed to improve working memory (the ability to hold and manipulate information in the mind) was reflected in improvements in fluid intelligence. The study also documented a relationship between the amount of training and the magnitude of the improvement. Neuroscience has distinguished multiple types of memory, including declarative and procedural memory. When a certain set of steps or processes are performed repeatedly, the processes are embedded in procedural memory and do not require conscious thought to execute (like riding a bike or driving to a familiar location). When a skill or process becomes embedded in procedural memory, it is said to have become automatic. Neural connections are strengthened by repetition, leading to the ability to perform a function without consciously thinking about it and requiring less energy than if the skill is not automatic. Our brains can only perform one skill consciously at a time. When multiple cognitive skills are required, as in most learning situations, all but one of those skills must be performed automatically, at the non-conscious level. When a skill becomes automatic and does not require conscious thought, it is possible for an individual to perform that skill at the same time as other skills. Basic skills, such as shifting our attention, keeping information in a sequence and visual span (as examples) must be functioning at the automatic level in order to enable an individual to allocate conscious thought to other activities, such as learning, comparing, deciding, and planning drawing conclusions and the like. Mental processing (cognitive) skills are highly integrated in effective brain functioning. When our brains perform a variety of automatic functions simultaneously, those activities must be coordinated to be effective (seeing and motor control, to give a simple example, in eye-hand coordination). If certain skills are weak or deficient, that will impact the efficiency of other mental processes and the overall effectiveness of mental functioning. Repeating a single skill over and over can lead to improvement in that skill and ultimately automaticity, but the integration of multiple skills is what pushes critical skills more quickly to the nonconscious level. The approach of putting demands on multiple skills at the same time, referred to as “cognitive loading,” is exploited in BrainWare SAFARI in a comprehensive “cross-training” approach that integrates multiples skills within an exercise and across exercises. It is believed that effective cross-training significantly enhances the transfer of stronger cognitive skills to tasks beyond the specific tasks that are trained. Researchers estimate that 80% of what we learn involves our visual system. In fact, vision is by far the most dominant sense, taking up about half of the brain’s resources. Visual processing, visualization and spatial-temporal reasoning are vital in learning and thinking. The ability to transform thoughts into images is what drives new concepts, new ideas, new feelings, and ultimately new behaviors. It is said that Albert Einstein processed information primarily in images, and Beethoven was deaf, but could picture music in his mind. 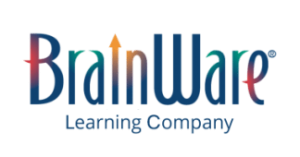 BrainWare SAFARI puts particular emphasis on visual processing skills (including visual thinking) – developing the capabilities of the “mind’s eye” – and memory. Skills such as visual span (the use of peripheral vision involved for visual discrimination and/or scanning), visual figure-ground, visual sequential and simultaneous processing and visualization are all worked extensively in combination with attention, auditory, memory and reasoning skills. Cognitive development occurs at the outer edges of our competence. Therefore, sequenced challenges that address the range of each individual’s strengths and weaknesses are required to provide the appropriate levels of challenge and intensity. If a task is too far above our current state of development, we will become frustrated and may not persist. If tasks are too easy, we become bored. BrainWare SAFARI’s exercises are designed to build from relatively easy levels through more difficult ones. This helps to ensure that the user is working at an appropriate level of challenge. This personalizes the experience in the sense that the user will be more challenged by and spend longer on the levels that address weaker processing areas and less time and effort on the exercises and levels that address areas of strength. The freedom to move among exercises to develop skills in different ways and different combinations also helps the individual to optimize the level of intensity and challenge. The exercises in BrainWare SAFARI were designed with the methodical sequencing need for “smart practice” (intense and rewarding repetition). Importantly, the program avoids the kind of predictable progression that would cause the brain would to lose interest and engage with less intensity. BrainWare SAFARI is designed to make the progression from one level to the next novel and interesting. Principle 6: Frequency and intensity. Development of any physical or mental function requires the discipline of repeated challenge over time at an appropriate level of intensity. The brains of experts consume less energy to perform a practiced activity and, in fact, can often do the activity “without thinking” or without conscious evaluation. We may talk about “muscle memory” (for example for a concert pianist or Tiger Woods on the golf course) but we are actually describing the development of procedural memory in the brain. Frequent practice with intensity leads to automaticity of skills. The recommended usage protocol for BrainWare SAFARI is 30 to 60 minutes, 3 to 5 times per week, for 10 to 14 weeks. This is the level of frequency and intensity that has been shown to drive rapid skill development and significant cognitive growth for the user in research. It may be desirable to adjust the recommended protocol for certain users, such as those with more severe learning difficulties, autism, or very young children (the program is recommended for ages 6 and up through adults). Immediate feedback is necessary to enable error correction and faster, more accurate learning. The speed of feedback also enables more repetitions to be executed in a given amount of time. In addition to the feedback overtly provided by a video game, there is evidence that success in a video game is related to release of the neurotransmitter dopamine, which is involved in learning and feelings of reward. BrainWare provides immediate feedback to the user through various mechanisms built into the game. There is no waiting to have a challenge or level scored; the computer response is instantaneous. Positive encouragement is offered continuously as the user progresses through the program. At each challenge, at each level, and upon the completion of exercises, positive and entertaining messages are delivered and the character the player has chosen at the beginning grows, reflecting the development of cognitive skills the player is experiencing. Finally, in many of the settings in which BrainWare SAFARI is used (schools and various clinical therapies), a coach also plays a role in feedback and support. Stimulation is an important factor in motivating attention and meaningful participation in a learning activity. In fact, the science and education communities are increasingly recognizing the value of digital game-based learning (“DGBL”). The compelling characteristics of good video games motivate initial engagement with a challenging activity and can help sustain motivation as the challenge progresses. Persistence motivated by a feedback loop reinforces and supports the natural mechanisms in the brain that reward us for accomplishing something challenging. BrainWare incorporates multimedia video-gaming technology with entertaining themes, characters, animation, and interactive elements to stimulate interest. The inherently interesting features of the program help provide intrinsic motivation to persist and overcome more difficult levels. And, unlike many other mental fitness software programs, the exercises in BrainWare SAFARI are mutually reinforcing and supportive. As a result, when a user reaches a level in a particular exercise that seems extremely difficult, he/she can move to other exercises that help build those same skills in a slightly different way. Frequently upon returning to the troubling exercise, the user passes it with much less difficulty.